Most users are better off with long-term support versions of Ubuntu. Linux users have one thing that often sets them apart from their Windows and Mac-using colleagues: They often spend a lot more time fixing things or finding out how to fix things. While this is great for hobbyists and enthusiasts, it’s not great for productivity. For people who need to get stuff done on their laptops and desktops, stability will often take precedence over new features. Every two years, Canonical offers up a long-term support (LTS) version of the Ubuntu Linux distribution. This year (2017) is an odd year, meaning that while there will be a new version of Ubuntu coming in April, not everyone will want to upgrade. And some will be chomping at the bit. And that’s A-OK. Long-term support is just what it sounds like: a commitment by the maintainers of a piece of software that the version has legs. In the world of free and open-source software, a long-term support version is the closest you’ll get to a guarantee of continued functionality. 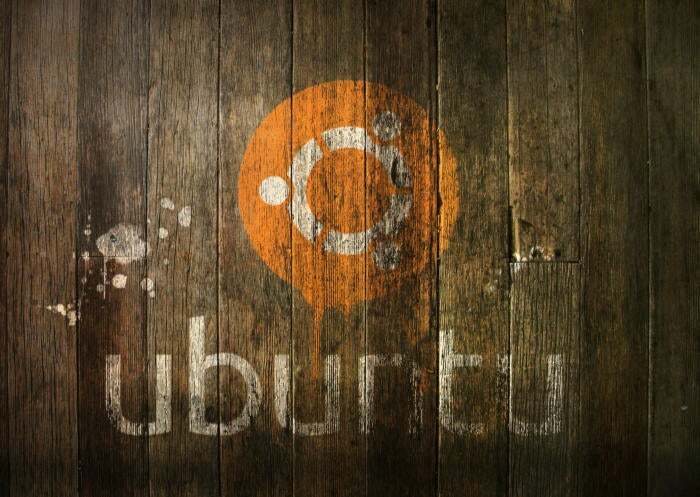 In the case of Ubuntu, long-term support versions are retired five years after their release. Using that model, Ubuntu 16.04 will be supported by Canonical until 2021. If you want to continue to get hardware and functionality support, you’ll have to upgrade to 18.04 in 2018. But even if you don’t upgrade next year, your PC will continue to get security updates until April 2021. On top of that, when software vendors create packages that target Ubuntu, they tend to do so for the LTS version. Since LTS versions of Ubuntu are more predictably stable (and usually have a bigger install base), a vendor can have greater confidence their software will run as expected on the greatest number of clients. For professionals or businesses who are looking for stability and continuity, 17.04 isn’t the best version to install. Unlike the LTS versions of Ubuntu, minor versions only offer two years of support. That means you’ll be forced to upgrade to a new version of Ubuntu come 2019 if you want to keep your system secure and updated. At the original time of writing, there weren't any listed new features for the Ubuntu desktop in the official release notes for 17.04. That has since changed, which is good news. It’s not all doom and gloom with the new Ubuntu. At the original time of writing, the new version of Ubuntu was slated to be based on the 4.9 kernel. Ubuntu has since updated the 17.04 release notes to say that Ubuntu 17.04 will ship with kernel 4.10. That's good news for users who want to run Ubuntu atop Ryzen or Kaby Lake systems. If you want to roll with an updated kernel in 16.04 like the 4.10 kernel that was recently released, you can use the Linux-mainline PPA to get newer kernel packages. If you choose to go this route, do so with care and be sure to keep the kernel updated because Ubuntu doesn’t officially support kernels from the mainline PPA. Things can and will break by using an unsupported kernel. Other updates to the 17.04 release include an upgrade to LibreOffice 5.3, and a week view in the calendar. Standard-issue desktop apps will also migrate to Gnome 3.24, with the exceptions to Terminal, Evolution (email client), the Nautilus file manager, and Software (app store). The big thing that isn't (yet) mentioned in the release notes is Unity 8. Unity 8, the long-awaited update with to Ubuntu's Unity desktop, actually shipped with 16.10 in October but wasn't the default desktop. That means while Unity 17.04 will also ship with Unity 8, it isn't yet noted as the default desktop. With several weeks to go before official release, this may change if some of the last few kinks are worked out. One nice thing for home users is the availability of driverless printing. Driverless printing will allow users to install just about any modern IPP Everywhere or Apple AirPrint-compatible printer via USB or network without installing a printer-specific driver. This is a big plus to folks who don't like going through the rigamarole of finding and setting up print drivers for CUPS. At the end of the day, if you’re using Ubuntu as your daily driver for work, there’s little reason to upgrade come this April. If you’re looking for more cutting-edge features for the desktop, there are some pretty good reasons to upgrade, especially for Ryzen and Kaby Lake users who want to get the latest features of the 4.10 kernel. If you want to help test new features or you really can’t get by without the newer kernel, by all means, make the move to version 17.04. There’s still a few weeks to go before it hits the web, so yet more new features may be announced between now and release time. But if you’re happy with 16.04 and aren't running it on a platform that requires the new kernel or you're running it on systems you need for business, I still recommend sticking with the LTS release for now. This article was updated on March 23 due to updates to Ubuntu's release notes. Big thanks to the community for pointing out changes and a couple errors.